Zion National Park is an American national park located in southwestern Utah near the town of Springdale. A prominent feature of the 229-square-mile (590 km2) park is Zion Canyon, which is 15 miles (24 km) long and up to 2,640 ft (800 m) deep. The canyon walls are reddish and tan-colored Navajo Sandstone eroded by the North Fork of the Virgin River. The lowest point in the park is 3,666 ft (1,117 m) at Coalpits Wash and the highest peak is 8,726 ft (2,660 m) at Horse Ranch Mountain. Located at the junction of the Colorado Plateau, Great Basin, and Mojave Desert regions, the park has a unique geography and a variety of life zones that allow for unusual plant and animal diversity. Numerous plant species as well as 289 species of birds, 75 mammals (including 19 species of bat), and 32 reptiles inhabit the park's four life zones: desert, riparian, woodland, and coniferous forest. Zion National Park includes mountains, canyons, buttes, mesas, monoliths, rivers, slot canyons, and natural arches. Human habitation of the area started about 8,000 years ago with small family groups of Native Americans, one of which was the semi-nomadic Basketmaker Anasazi (c. 300). Subsequently, the Virgin Anasazi culture (c. 500) and the Parowan Fremont group developed as the Basketmakers settled in permanent communities. Both groups moved away by 1300 and were replaced by the Parrusits and several other Southern Paiute subtribes. Mormons came into the area in 1858 and settled there in the early 1860s. In 1909, President William Howard Taft named the area Mukuntuweap National Monument in order to protect the canyon. In 1918, the acting director of the newly created National Park Service, Horace Albright, drafted a proposal to enlarge the existing monument and change the park's name to Zion National Monument, Zion being a term used by the Mormons. 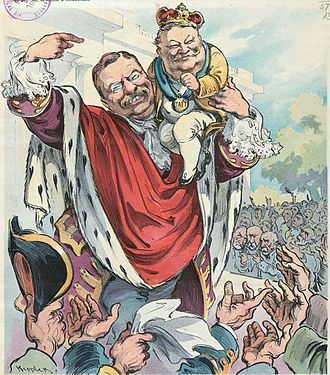 According to historian Hal Rothman: "The name change played to a prevalent bias of the time. Many believed that Spanish and Indian names would deter visitors who, if they could not pronounce the name of a place, might not bother to visit it. The new name, Zion, had greater appeal to an ethnocentric audience." On November 20, 1919, Congress redesignated the monument as Zion National Park, and the act was signed by President Woodrow Wilson. The Kolob section was proclaimed a separate Zion National Monument in 1937, but was incorporated into the national park in 1956. The geology of the Zion and Kolob canyons area includes nine formations that together represent 150 million years of mostly Mesozoic-aged sedimentation. 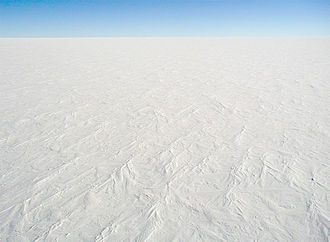 At various periods in that time warm, shallow seas, streams, ponds and lakes, vast deserts, and dry near-shore environments covered the area. 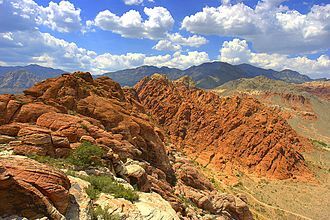 Uplift associated with the creation of the Colorado Plateau lifted the region 10,000 feet (3,000 m) starting 13 million years ago. The park is located in southwestern Utah in Washington, Iron and Kane counties. 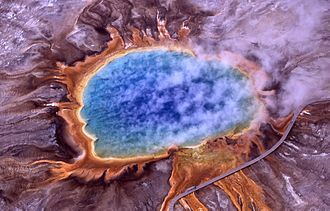 Geomorphically, it is located on the Markagunt and Kolob plateaus, at the intersection of three North American geographic provinces: the Colorado Plateau, the Great Basin, and the Mojave Desert. The northern part of the park is known as the Kolob Canyons section and is accessible from Interstate 15, exit 40. The 8,726-foot (2,660 m) summit of Horse Ranch Mountain is the highest point in the park; the lowest point is the 3,666-foot (1,117 m) elevation of Coal Pits Wash, creating a relief of about 5,100 feet (1,600 m). Streams in the area take rectangular paths because they follow jointing planes in the rocks. The stream gradient of the Virgin River, whose North Fork flows through Zion Canyon in the park, ranges from 50 to 80 feet per mile (9.5 to 15.2 m/km) (0.9–1.5%)—one of the steepest stream gradients in North America. The road into Zion Canyon is 6 miles (9.7 km) long, ending at the Temple of Sinawava, which is named for the coyote god of the Paiute Indians. The canyon becomes more narrow near the Temple and a hiking trail continues to the mouth of The Narrows, a gorge only 20 feet (6 m) wide and up to 2,000 feet (610 m) tall. The Zion Canyon road is served by a free shuttle bus from early April to late October and by private vehicles the other months of the year. Other roads in Zion are open to private vehicles year-round. The east side of the park is served by Zion-Mount Carmel Highway (SR-9), which passes through the Zion–Mount Carmel Tunnel and ends at Mount Carmel. 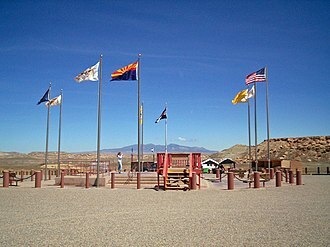 On the east side of the park, notable park features include Checkerboard Mesa and the East Temple. The Kolob Terrace area, northwest of Zion Canyon, features a slot canyon called The Subway, and a panoramic view of the entire area from Lava Point. The Kolob Canyons section, further to the northwest near Cedar City, features one of the world's longest natural arches, Kolob Arch. 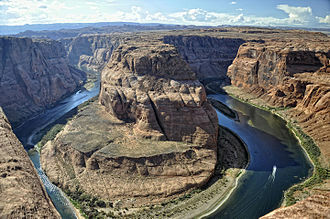 Other notable geographic features of the park include the Virgin River Narrows, Emerald Pools, Angels Landing, The Great White Throne, and Court of the Patriarchs. Zion National Park has a BWk (Köppen climate classification) cold desert type of climate consisting of hot summers and cold winters with a limited amount of precipitation throughout the year. Archaeologists have divided the long span of Zion's human history into three cultural periods: the Archaic, Protohistoric and Historic periods. Each period is characterized by distinctive technological and social adaptations. The first human presence in the region dates to 8,000 years ago when family groups camped where they could hunt or collect plants and seeds. About 2,000 years ago, some groups began growing corn and other crops, leading to an increasingly sedentary lifestyle. Later groups in this period built permanent villages called pueblos. Archaeologists call this the Archaic period and it lasted until c. 500. Baskets, cordage nets, and yucca fiber sandals have been found and dated to this period. The Archaic toolkits included flaked stone knives, drills, and stemmed dart points. The dart points were attached to wooden shafts and propelled by throwing devices called atlatls. By c. 300, some of the archaic groups developed into an early branch of seminomadic Anasazi, the Basketmakers. Basketmaker sites have grass- or stone-lined storage cists and shallow, partially underground dwellings called pithouses. They were hunters and gatherers who supplemented their diet with limited agriculture. Locally collected pine nuts were important for food and trade. Both the Virgin Anasazi and the Parowan Fremont disappear from the archaeological record of southwestern Utah by c. 1300. Extended droughts in the 11th and 12th centuries, interspersed with catastrophic flooding, may have made horticulture impossible in this arid region. Tradition and archaeological evidence hold that their replacements were Numic-speaking cousins of the Virgin Anasazi, such as the Southern Paiute and Ute. The newcomers migrated on a seasonal basis up and down valleys in search of wild seeds and game animals. 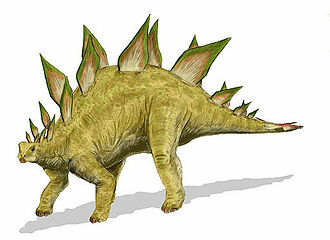 Some, particularly the Southern Paiute, also planted fields of corn, sunflowers, and squash to supplement their diet. These more sedentary groups made brownware vessels that were used for storage and cooking. In 1847, Mormon farmers from the Salt Lake area became the first people of European descent to settle the Virgin River region. In 1851, the Parowan and Cedar City areas were settled by Mormons who used the Kolob Canyons area for timber, and for grazing cattle, sheep, and horses. They prospected for mineral deposits, and diverted Kolob water to irrigate crops in the valley below. Mormon settlers named the area Kolob—in Mormon scripture, the heavenly place nearest the residence of God. The floor of Zion Canyon was settled in 1863 by Isaac Behunin, who farmed corn, tobacco, and fruit trees. The Behunin family lived in Zion Canyon near the site of today's Zion Lodge during the summer, and wintered in Springdale. 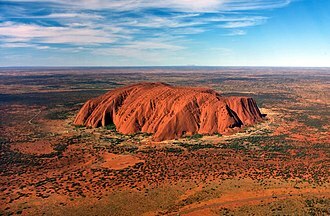 Behunin is credited with naming Zion, a reference to the place of peace mentioned in the Bible. Two more families settled Zion Canyon in the next couple of years, bringing with them cattle and other domesticated animals. The canyon floor was farmed until Zion became a Monument in 1909. The Powell Geographic Expedition of 1869 entered the area after their first trip through the Grand Canyon. John Wesley Powell visited Zion Canyon in 1872 and named it Mukuntuweap, under the impression that that was the Paiute name. Powell Survey photographers John K. Hillers and James Fennemore first visited the Zion Canyon and Kolob Plateau region in the spring of 1872. Hillers returned in April 1873 to add more photographs to the "Virgin River Series" of photographs and stereographs. Hillers described wading the canyon for four days and nearly freezing to death to take his photographs. Paintings of the canyon by Frederick S. Dellenbaugh were exhibited at the Saint Louis World's Fair in 1904, followed by a favorable article in Scribner's Magazine the next year. The article and paintings, along with previously created photographs, paintings, and reports, led to President William Howard Taft's proclamation on July 31, 1909 that created Mukuntuweap National Monument. In 1917, the acting director of the newly created National Park Service visited the canyon and proposed changing its name from the locally unpopular Mukuntuweap to Zion, a name used by the local Mormon community. The United States Congress added more land and established Zion National Park on November 19, 1919. A separate Zion National Monument, the Kolob Canyons area, was proclaimed on January 22, 1937, and was incorporated into the park on July 11, 1956. Travel to the area before it was a national park was rare due to its remote location, lack of accommodations, and the absence of real roads in southern Utah. Old wagon roads were upgraded to the first automobile roads starting about 1910, and the road into Zion Canyon was built in 1917 leading to the Grotto, short of the present road that now ends at the Temple of Sinawava. Touring cars could reach Zion Canyon by the summer of 1917. The first visitor lodging in Zion Canyon, called Wylie Camp, was established that same year as a tent camp. The Utah Parks Company, a subsidiary of the Union Pacific Railroad, acquired Wylie Camp in 1923, and offered ten-day rail/bus tours to Zion, nearby Bryce Canyon, the Kaibab Plateau, and the North Rim of the Grand Canyon. The Zion Lodge complex was built in 1925 at the site of the Wylie tent camp. Architect Gilbert Stanley Underwood designed the Zion Lodge in a rustic architectural style, while the Utah Parks Company funded the construction. Work on the Zion Mount Carmel Highway started in 1927 to enable reliable access between Springdale and the east side of the park. The road opened in 1930 and park visit and travel in the area greatly increased. The most famous feature of the Zion – Mount Carmel Highway is its 1.1-mile (1.8 km) tunnel, which has six large windows cut through the massive sandstone cliff. In 1896, local rancher John Winder improved the Native American footpath up Echo Canyon, which later became the East Rim Trail. Entrepreneur David Flanigan used this trail in 1900 to build cableworks that lowered lumber into Zion Canyon from Cable Mountain. More than 200,000 board feet (470 m3) of lumber were lowered by 1906. The auto road was extended to the Temple of Sinawava, and a trail built from there 1 mile (1.6 km) to the start of the Narrows. Angel's Landing Trail was constructed in 1926 and two suspension bridges were built over the Virgin River. Other trails were constructed by the Civilian Conservation Corps during the 1930s. Zion National Park has been featured in numerous films, including The Deadwood Coach (1924), Arizona Bound (1927), Nevada (1927), Ramrod (1947) and Butch Cassidy and the Sundance Kid (1969). Zion Canyon Scenic Drive provides access to Zion Canyon. Traffic congestion in the narrow canyon was recognized as a major problem in the 1990s and a public transportation system using propane-powered shuttle buses was instituted in the year 2000. As part of its shuttle fleet, Zion has two electric trams each holding up to 36 passengers. Usually from early April through late October, the scenic drive in Zion Canyon is closed to private vehicles and visitors ride the shuttle buses. On April 12, 1995, heavy rains triggered a landslide that blocked the Virgin River in Zion Canyon. Over a period of two hours, the river carved away part of the only exit road from the canyon, trapping 450 guests and employees at the Zion Lodge. A one-lane, temporary road was constructed within 24 hours to allow evacuation of the Lodge. A more stable — albeit temporary — road was completed on May 25, 1995 to allow summer visitors to access the canyon. This road was replaced with a permanent road during the first half of 1996. The Zion–Mount Carmel Highway can be travelled year-round. Access for oversized vehicles requires a special permit, and is limited to daytime hours, as traffic through the tunnel must be one way to accommodate large vehicles. The 5-mile (8.0 km)-long Kolob Canyons Road was built to provide access to the Kolob Canyons section of the park. This road often closes in the winter. In March 2009, President Barack Obama signed into law the Omnibus Public Land Management Act of 2009, which designated and further protected 124,406 acres (50,345 ha) of park land as the Zion Wilderness. In September 2015, flooding trapped a party of seven in Keyhole Canyon, a slot canyon in the park. 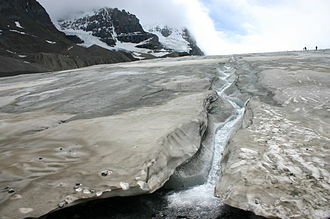 The flash flood killed all seven members of the group, whose remains were located after a search lasting several days. Desert conditions persist on canyon bottoms and rocky ledges away from perennial streams. Sagebrush, prickly pear cactus, and rabbitbrush, along with sacred datura and Indian paintbrush, are common. Utah penstemon and golden aster can also be found. Milkvetch and prince's plume are found in pockets of selenium-rich soils. Common daytime animals include mule deer, rock squirrels, pinyon jays, and whiptail and collared lizards. Desert cottontails, jackrabbits, and Merriam's kangaroo rats come out at night. Cougars, bobcats, coyotes, badgers, gray foxes, and ring-tail cats are the top predators. Desert bighorn sheep are often visible near the roadway in the park. Golden eagles, red-tailed hawks, peregrine falcons, and white-throated swifts can be seen in the area.Desert bighorn sheep were reintroduced in the park in 1973. California condors were reintroduced in the Arizona Strip and in 2014 the first successful breeding of condors in the park was confirmed. 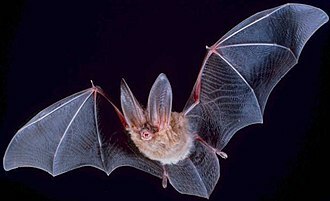 Nineteen species of bat also live in the area. Boxelder, Fremont cottonwood, maple, and willow dominate riparian plant communities. Animals such as bank beavers, flannel-mouth suckers, gnatcatchers, dippers, canyon wrens, the virgin spinedace, and water striders all make their homes in the riparian zones. Guided horseback riding trips, nature walks, and evening programs are available from late March to early November. The Junior Ranger Program for ages 6 to 12 is active from Memorial Day to Labor Day at the Zion Nature Center. Rangers at the visitor centers in Zion Canyon and Kolob Canyons can help visitors plan their stay. A bookstore attached to the Zion Canyon visitor center offers books, maps, and souvenirs. The Grotto in Zion Canyon, the visitor center, and the viewpoint at the end of Kolob Canyons Road have the only designated picnic sites. Seven trails with round-trip times of half an hour (Weeping Rock) to 4 hours (Angels Landing) are found in Zion Canyon. Two popular trails, Taylor Creek (4 hours round trip) and Kolob Arch (8 hours round trip), are in the Kolob Canyons section of the park, near Cedar City. Hiking up into The Narrows from the Temple of Sinawava is popular in summer; however, hiking beyond Big Springs requires a permit. The entire Narrows from Chamberlain's Ranch is a 16-mile one way trip that typically takes 12 hours of strenuous hiking. A shorter alternative is to enter the Narrows via Orderville Canyon. Both Orderville and the full Narrows require a back country permit. Entrance to the Parunuweap Canyon section of the park downstream of Labyrinth Falls is prohibited. Other often-used backcountry trails include the West Rim and LaVerkin Creek. The more primitive sections of Zion include the Kolob Terrace and the Kolob Canyons. A network of trails totaling 50 miles in distance connect Zion's northwest corner of the park (Lee Pass Trailhead) to its southeast section (East Rim Trailhead). Popularly known as the Zion Traverse, the route offers backpackers a diverse experience of the park. Lodging in the park is available at Zion Lodge, located halfway through Zion Canyon. Three campgrounds are available: South and Watchman at the far southern side of the park, and a primitive site at Lava Point in the middle of the park off Kolob Terrace Road. Overnight camping in the backcountry requires permits. Lodging, food, and entertainment are also offered on the east side of the park along the Zion–Mount Carmel Highway and in Mount Carmel Junction. Adjacent to the park on the south is the town of Springdale, Utah, which offers services such as lodging, food, and entertainment. Driving through the east side of Zion to U.S. Route 89 allows access to Bryce Canyon National Park in the north or to the north rim of the Grand Canyon in the south. Due to the narrowness of the Zion–Mount Carmel Tunnel, RVs and buses must obtain a special pass and can only drive through the tunnel during limited hours. ^ "Listing of acreage as of December 31, 2012". Land Resource Division, National Park Service. Retrieved March 31, 2013. ^ "Zion-Mt. Carmel Highway and Tunnel". National Park Service. Retrieved March 31, 2013. ^ a b "The Development of Zion National Park". historytogo.utah.gov. Retrieved 2017-12-18. ^ Rothman, Hal (1989). Preserving Different Pasts: The American National Monuments. University of Illinois Press. p. 99. ISBN 978-0-252-01548-9. 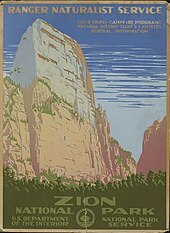 ^ "An Act To establish the Zion National Park in the State of Utah (Library of Congress)" (PDF). Retrieved December 17, 2017. ^ "Notes On The History Of The Kolob Canyons". wchsutah.org. Retrieved 2017-12-18. ^ Alexander, Charles P (January 1948). "Records and Descriptions of North American Crane-Flies (Diptera). Part VII. 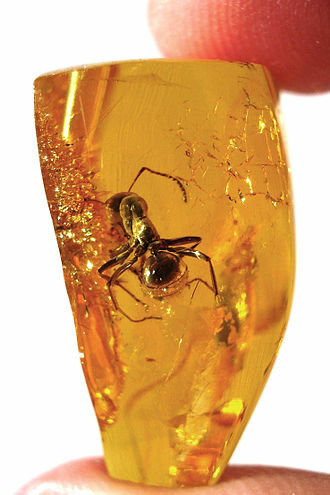 The Tipuloidea of Utah". American Midland Naturalist. The University of Notre Dame. 39 (1): 1–82. doi:10.2307/2421428. JSTOR 2421428. 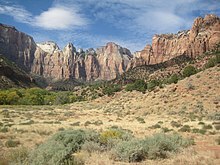 ^ "Zion National Park, Utah, USA - Monthly weather forecast and Climate data". Weather Atlas. Retrieved 27 January 2019. ^ "UT Zion NP". National Oceanic and Atmospheric Administration. Retrieved November 3, 2013. ^ "Zion National Park, Utah". Western Regional Climate Center. Retrieved 3 Nov 2013. ^ a b c Powell, Allen Kent (1994), "Zion National Park", in Powell, Allan Kent, Utah History Encyclopedia, Salt Lake City, Utah: University of Utah Press, pp. 576–579, ISBN 0-87480-425-6, OCLC 30473917 Retrieved on January 1, 2009. ^ Albright, Horace M.; Schenck, Marian Albright; Utley, Robert M. (1999). "18 - Exploring a New World of Parks, 1917" (PDF). Creating the National Park Service: The Missing Years (PDF). University of Oklahoma Press, Norman Publishing. p. 243. Retrieved 18 January 2009. ^ "Appendix C". Leave No Trace Principles. Washington, D.C.: National Park Service. ^ Cape Royal Road (PDF). Washington, D.C.: National Park Service. c. 1968. p. 4. HAER AZ-40. Archived from the original (PDF) on February 25, 2009. Retrieved January 18, 2009. ^ a b ZNHA contributors. 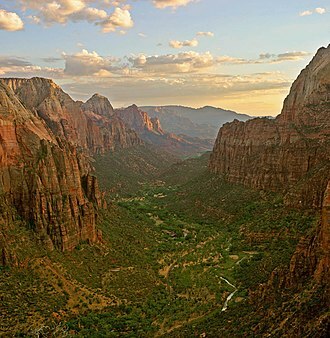 A Guide to the Trails: Zion National Park. Springdale, Utah: Zion Natural History Association. p. 10. Archived from the original on September 17, 2008. Retrieved January 18, 2009. ^ Maddrey, Joseph (2016). The Quick, the Dead and the Revived: The Many Lives of the Western Film. McFarland. Page 178. ISBN 9781476625492. ^ "Zion Traffic Mitigation Report, Department of Transportation". United States Department of Transportation, Federal Highway Administration. Archived from the original on January 5, 2010. Retrieved December 19, 2009. ^ a b c d e Mentz, Kevin M.; Worrell, Eric; Zanetell, F. Dave (1997). "Park Project Is a Paragon of Partnership". Public Roads. Federal Highway Administration, United States Department of Transportation. 60 (4). Archived from the original on January 17, 2009. Retrieved 18 January 2009. ^ Kona, Srividya. "Zion National Park, Utah". Travel. Texas Tech University. Archived from the original on June 29, 2009. Retrieved 1 January 2009. ^ Mims, Bob (17 September 2015). "7 dead in Zion National Park flash flood". CNN.com. Archived from the original on February 6, 2016. Retrieved 29 January 2016. ^ NPS contributors. "Wilderness Stewardship Plan Handbook" (doc). Washington, D.C. p. 31. Retrieved 20 Dec 2008. ^ NPS contributors (2008). Backcountry Planner (PDF). Washington, D.C.: National Park Service. p. 10. Retrieved 18 January 2009. ^ "Mountain Project". Archived from the original on April 22, 2012. Harris, Ann G.; Tuttle, Esther; Tuttle, Sherwood D. (1997). "2: Zion National Park, Southwest Utah". Geology of National Parks (5th ed.). Iowa: Kendall/Hunt Publishing. pp. 28–42. ISBN 0-7872-5353-7. Kiver, Eugene P.; Harris, David V. (1999). Geology of U.S. Parklands (5th ed.). New York City: John Wiley & Sons. ISBN 0-471-33218-6. Leach, Nicky (2007). Zion National Park: Sanctuary in the Desert (6th ed.). Mariposa, California: Sierra Press. ISBN 1-58071-020-4. Schneider, Stuart (2001). Kolob Canyons Road Guide. Zion Natural History Association. ISBN 0-915630-28-1. Woodbury, Angus M. (July–October 1944). A History of Southern Utah and Its National Parks. XII. Utah State Historical Society. Wikivoyage has a travel guide for Zion National Park. After Smiths death in 1844, the Mormons followed Brigham Young to what would become the Utah Territory. 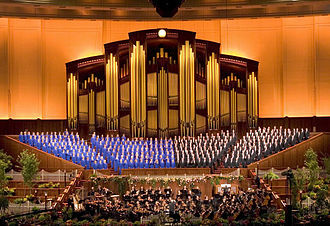 Today, most Mormons are understood to be members of The Church of Jesus Christ of Latter-day Saints, some Mormons are either independent or non-practicing. 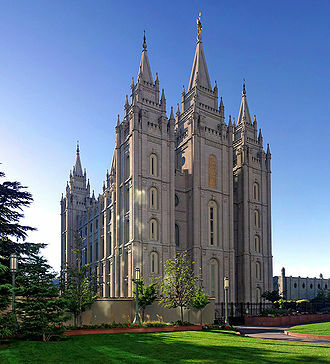 The center of Mormon cultural influence is in Utah, and North America has more Mormons than any other continent, Mormons have developed a strong sense of communality that stems from their doctrine and history. Mormons dedicate large amounts of time and resources to serving in their church, Mormons have a health code which eschews alcoholic beverages, coffee and other addictive substances. They tend to be very family-oriented, and have connections across generations and with extended family. Mormons have a law of chastity, requiring abstention from sexual relations outside of heterosexual marriage. Mormons self-identify as Christian, although some non-Mormons consider Mormons non-Christian, Mormons believe in the Bible, as well as other books of scripture, such as the Book of Mormon. They have a view of cosmology, and believe that all people are spirit-children of God. 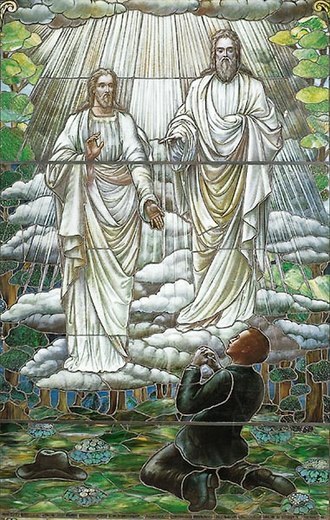 Mormons believe that returning to God requires following the example of Jesus Christ and they believe that Christs church was restored through Joseph Smith and is guided by living prophets and apostles. Central to Mormon faith is the belief that God speaks to his children, due to their high birth and conversion rates, the Mormon population has grown significantly in recent decades rising from around three million in 1970 to over 15 million in 2015. The term Mormons has been embraced by most adherents of Mormonism, most notably Mormon fundamentalists, while other Latter Day Saint denominations, both LDS Church members and members of fundamentalist groups commonly use the word Mormon in reference to themselves. The LDS Church, disagrees with this self-characterization, Church leaders encourage members to use the churchs full name to emphasize its focus on Jesus Christ. Today, polygamy is practiced within Mormonism only by people that have broken with the LDS Church, the history of the Mormons has shaped them into a people with a strong sense of unity and communality. Angels Landing, known earlier as the Temple of Aeolus, is a 1, 488-foot tall rock formation in Zion National Park in southern Utah. A trail, cut into rock in 1926, leads to the top of Angels Landing. The trail to Angels Landing is 2.4 miles long and it begins at the Grotto drop off point on the parks shuttle system, which operates from early spring through late fall. It roughly follows the path of the Virgin River for some time, as the trail gets steeper and leaves behind the river, it becomes paved. After a series of switchbacks, the trail goes through the area between Angels Landing and the Zion Canyon that is a gradual ascent. Walters Wiggles, a series of 21 steep switchbacks, are the last hurdle before Scout Lookout, the wiggles are named after Walter Ruesch, who was the first superintendent for Zion National Park and constructed the switchbacks in 1926. Scout Lookout is generally the point for those who are unwilling to make the final summit push to the top of Angels Landing. The last half-mile of the trail is strenuous and littered with sharp drop offs, chains to grip are provided for portions of the last half-mile to the top at 5,790 feet. A riparian zone or riparian area is the interface between land and a river or stream. Riparian is the proper nomenclature for one of the fifteen terrestrial biomes of the earth, Plant habitats and communities along the river margins and banks are called riparian vegetation, characterized by hydrophilic plants. In some regions the terms riparian woodland, riparian forest, riparian buffer zone, the word riparian is derived from Latin ripa, meaning river bank. Riparian zones may be natural or engineered for soil stabilization or restoration and these zones are important natural biofilters, protecting aquatic environments from excessive sedimentation, polluted surface runoff and erosion. They supply shelter and food for aquatic animals and shade that limits stream temperature change. When riparian zones are damaged by construction, agriculture or silviculture, biological restoration can take place, usually by human intervention in erosion control and revegetation. If the area adjacent to a watercourse has standing water or saturated soil for as long as a season, because of their prominent role in supporting a diversity of species, riparian zones are often the subject of national protection in a Biodiversity Action Plan. These are known as a Plant or Vegetation Waste Buffer, research shows that riparian zones are instrumental in water quality improvement for both surface runoff and water flowing into streams through subsurface or groundwater flow. Particularly, the attenuation of nitrate or denitrification of the nitrates from fertilizer in this zone is important. The use of wetland riparian zones shows a high rate of removal of nitrate entering a stream. The meandering curves of a river, combined with vegetation and root systems, slow the flow of water, sediment is trapped, reducing suspended solids to create less turbid water, replenish soils, and build stream banks. Pollutants are filtered from surface runoff, enhancing water quality via biofiltration, the riparian zones provide wildlife habitat, increased biodiversity, and wildlife corridors, enabling aquatic and riparian organisms to move along river systems avoiding isolated communities. Riparian vegetation can forage for wildlife and livestock. They provide native landscape irrigation by extending seasonal or perennial flows of water, nutrients from terrestrial vegetation are transferred to aquatic food webs. The Ancestral Puebloans are believed to have developed, at least in part, from the Oshara Tradition, who developed from the Picosa culture. They lived in a range of structures that included small family pit houses, larger structures to house clans, grand pueblos, the Ancestral Puebloans possessed a complex network that stretched across the Colorado Plateau linking hundreds of communities and population centers. They held a distinct knowledge of celestial sciences that found form in their architecture, the kiva, a congregational space that was used chiefly for ceremonial purposes, was an integral part of this ancient peoples community structure. In contemporary times, the people and their culture were referred to as Anasazi for historical purposes. The Navajo, who were not their descendants, called them by this term, reflecting historic traditions, the term was used to mean ancient enemies. Contemporary Puebloans do not want this term used, archaeologists continue to debate when this distinct culture emerged. The current agreement, based on terminology defined by the Pecos Classification, suggests their emergence around the 12th century BC, beginning with the earliest explorations and excavations, researchers identified Ancestral Puebloans as the forerunners of contemporary Pueblo peoples. Three UNESCO World Heritage Sites located in the United States are credited to the Pueblos, Mesa Verde National Park, Chaco Culture National Historical Park and Taos Pueblo. 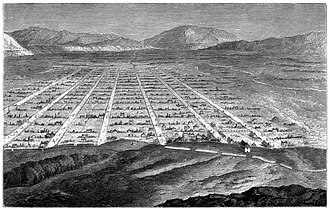 Pueblo, which means village in Spanish, was a term originating with the Spanish explorers who used it to refer to the particular style of dwelling. The Navajo now use the term in the sense of referring to ancient people or ancient ones, Hopi people used the term Hisatsinom, meaning ancient people, to describe the Ancestral Puebloans. The Ancestral Puebloans were one of four major prehistoric archaeological traditions recognized in the American Southwest and this area is sometimes referred to as Oasisamerica in the region defining pre-Columbian southwestern North America. The others are the Mogollon and Patayan, in relation to neighboring cultures, the Ancestral Puebloans occupied the northeast quadrant of the area. 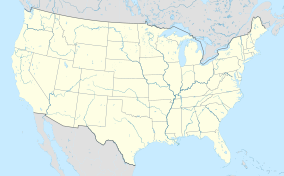 The Ancestral Puebloan homeland centers on the Colorado Plateau, but extends from central New Mexico on the east to southern Nevada on the west. Structures and other evidence of Ancestral Puebloan culture has been found extending east onto the American Great Plains, in areas near the Cimarron and Pecos Rivers and resources within this large region vary greatly. The plateau regions have high elevations ranging from 4,500 to 8,500 feet, extensive horizontal mesas are capped by sedimentary formations and support woodlands of junipers and ponderosa pines, each favoring different elevations. Wind and water erosion have created steep-walled canyons, and sculpted windows, in areas where resistant strata, such as sandstone or limestone, overlie more easily eroded strata such as shale, rock overhangs formed. The Ancestral Puebloans favored building under such overhangs for shelters and defensive building sites, all areas of the Ancestral Puebloan homeland suffered from periods of drought, and wind and water erosion. The Virgin River is a tributary of the Colorado River in the U. S. states of Utah and Arizona. The river is about 162 miles long and it was designated Utahs first wild and scenic river in 2009, during the centennial celebration of Zion National Park. 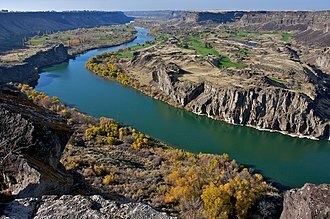 The river is named for Thomas Virgin, a member of the first American party to see it, Smith named it Adams River, after then-president John Quincy Adams, but explorer and mapmaker John C. Fremont gave it its current name, after the Smith party successfully descended the river on the way to California, Thomas Virgin was badly wounded in an attack by Mohave people during the crossing of the Mojave Desert. Virgin recovered from his wounds but was killed, along with most of Smiths companions. The Old Spanish Trail followed the Virgin River for part of its length from near St. George to the point it ascended the Mormon Plateau to cross to the Muddy River in present-day Nevada. The river flows in a direction, passing south of the old townsite of St. George where the Santa Clara River joins the Virgin at a place the Paiutes called Tonaquint. The river flows across the corner of Arizona through the Virgin River Gorge and past the towns of Beaver Dam. It enters southern Nevada near the town of Mesquite and empties into the Colorado at the Lake Mead reservoir, the last 30 miles of the Virgin River forms the north arm of Lake Mead. Despite flowing through a region, the Virgin River is home to a surprisingly diverse array of plants. 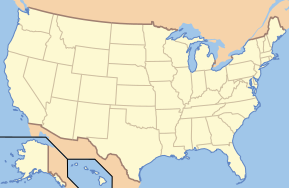 Southwestern Utah is located at the intersection of three regions, the Colorado Plateau, the Great Basin, and the Mojave Desert. 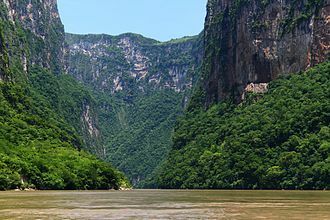 The exceptional landscapes and habitats of this region harbor unique plant, without the water of the Virgin River system, these species could not exist. Many of these species are endangered or are considered sensitive species within the State of Utah, the Virgin River Program was established to balance increasing human demand and maintain this unique system. Woundfin Federally listed endangered species Size, 4″ One of the rarest species on earth, woundfin have large fins and scale-less, streamlined bodies that help them survive in swift, silty conditions. Kolob Canyons from the end of Kolob Canyons Road. Stream erosion has incised the Kolob Plateau to form canyons that expose the red-orange colored Navajo Sandstone and other formations.